The miner sat on a rock at the edge of the stream with the sediment swirling around and around in his pan. He tapped the pan against his palm a few times, then dipped it back into the stream and began repeatedly shaking it back and forth. Small streams of light sand and silt worked their way up the pan’s edge and out into the creek. Little by little the grit that was left over became smaller and smaller. 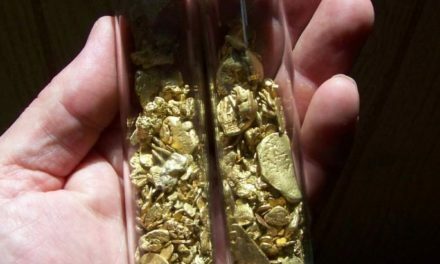 When recovering gold, the goal is to float off the lighter material and leave any of the heavy, precious metal behind. There was a lot of black sand in the miner’s pan, not only making it heavy to hold, but making the panning more difficult. But gold is heavier and, with sufficient agitation, can be shaken away from the black sand and to the bottom of the pan. The prospector repeated this method of breaking up the black sand again and again, using a few quick taps against his palm, and then shaking the pan again at an angle to force the gold to the bottom of the pan. Gold is one of the heaviest things in the stream. It is 19.3 times heavier than water, nearly twice as heavy as lead, about 3.5 times heavier than magnetite, and more than seven times heavier than average rocks. This is why separating gold from rocks and sand using just water is quite efficient. Mother Nature has concentrated gold quite nicely in the creeks, streams and rivers of Plumas County. Gold is heavy and naturally wants to stay close to the bottom of the river and right on the bedrock. Most of the sediment in a stream comes down the valley during annual or historic floods, and although the waters are often turbulent, the bigger chunks of gold will just tumble down the stream channel and find a nook or cranny to stay in place. 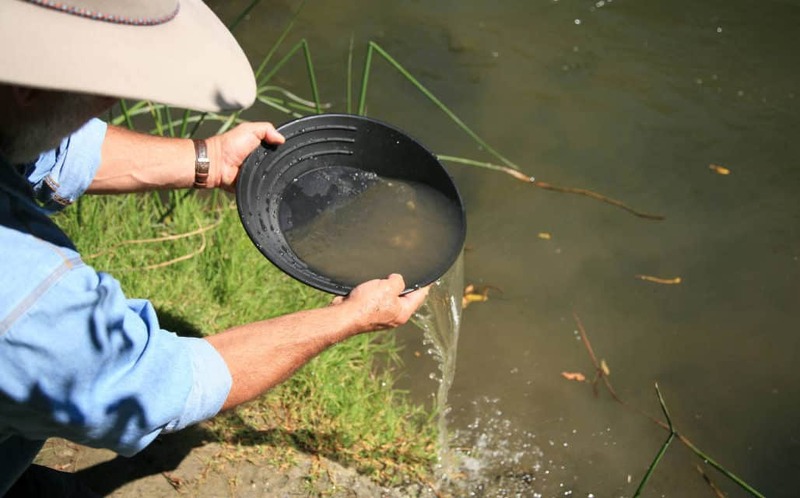 The swiftest part of the flood waters usually carry the most gold, so as the floodwaters recede, the gold settles at the bottom of the stream–and there’s your target! Gold likes to accumulate in those “quiet water” environments, such as in a crack, behind a boulder, under a ledge, or along an inside bend of a stream. Water moves fastest on the outside part of the bend than it does on the inside part. As the gold moves down valley and comes to a bend in the stream or creek, it will either get forced to the outside and move quickly around the bend downstream, or get trapped by the slower water current on the inside, where Miners call this section of the stream the “paystreak” because it pays really well. Gold comes in all sizes. Nuggets are the larger pieces, and flakes, crumbs and dust are the smallest you can collect by panning. There is micron gold, which is really tiny and can’t be recovered by panning. A way to look at how common are the different size fractions is with a pyramid; there is only one chunk that is the largest nugget, which is at the top of the pyramid, but trillions of micron gold particles exist, which form the pyramid base. Everything else falls in between, with larger pieces becoming less common. 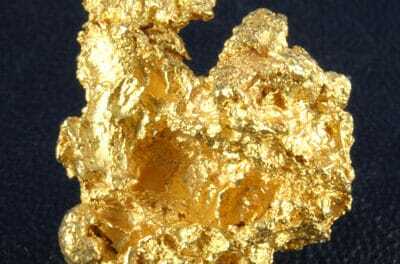 The largest gold nugget ever discovered was the Welcome Stranger found at Moliagul, Victoria, Australia and weighed over 2,520 ounces (173 pounds). There are a lot of versions of the tale of the largest nugget ever found in California. The consensus is that it weighed 1,593 ounces (109.2 pounds) and was found in 1869 at the Monumental Claim in Sierra County, near Sierra Buttes. It was sold for $13,500 and was on display for a number of years before it was melted down. It retuned only $9,800 in pure gold. At today’s gold price of $1,275 per ounce, the metal would have been worth $2,031,000. But given that it was one humungous nugget, the price would have surely doubled. Large nuggets are still being found today, maybe not weighing in the 100-pound range, but tales of multi-ounce nuggets still occur. The old saying, “If you want to go elephant hunting, you need to be in elephant country,” goes for finding big gold pieces, too–you need to be where big gold was found before. 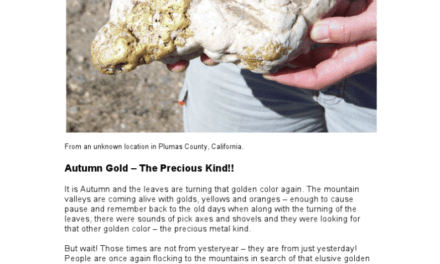 In the Sierra, big nuggets were found in Plumas, Butte, Sierra, Yuba, Nevada, Placer, El Dorado, Amador, Calaveras, Tuolumne, Mariposa, and Madera Counties… wait, that is the California Motherlode Belt, and yes, they all have produced their share of large, 10–20 pound nuggets. Did they find them all? Probably not and perhaps just the easiest ones. So when the reports come in of 3-ounce, 6-ounce, or 10-ounce nuggets being found today, think of that pyramid and the statistical chance of finding one a little larger. It has to be out there just waiting for someone to find it. Maybe it is just waiting for you to put down the remote, get off the couch and go prospecting in the Sierra! Gold mining is not a new thing. It is something within our blood– something that we feel is right. Today’s miners are smarter than ever before. They have better tools to recover the precious metal and the wisdom to work with Mother Nature. Today’s miners are responsible citizens and reclamation is part of their mining process. Charles P. Watson is the chief geologist at Advanced Geologic Exploration, Inc. located in Chester, California. He is an expert on gold exploration, mining, permitting, and a mining history buff as well. He can be reached at cwatson@advancedgeologic.com or at www.advancedgeologic.com. Advanced Geologic locates and sells high quality gold mining claims. 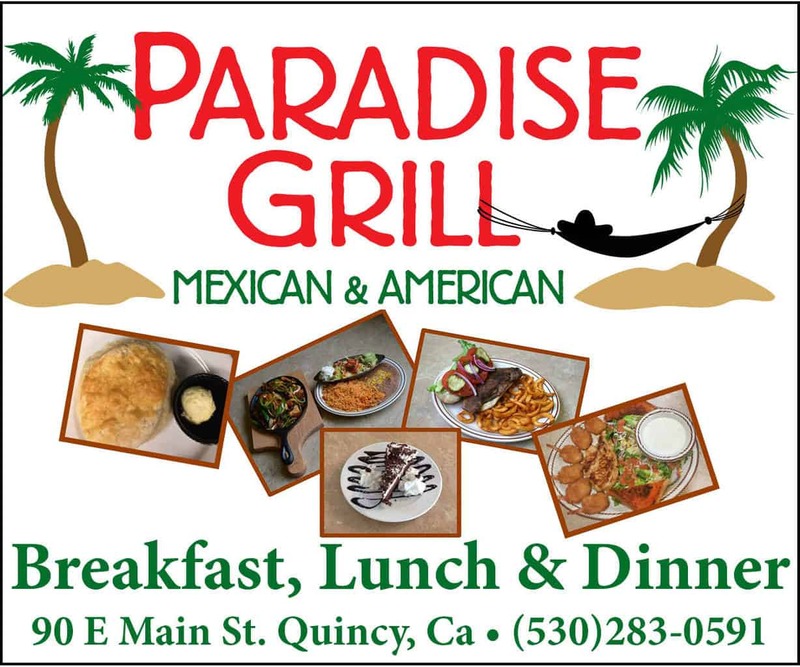 They also provide superior mining and geologic consulting, and can assist you with all your mining and permitting needs. The gold rush is on! Contact them and claim your fortune! About the Author: Charles P. Watson is the chief geologist at Advanced Geologic Exploration, Inc. located in Chester, California. He is an expert on gold exploration, mining, permitting, and a history buff as well. He can be reached at: cwatson@advancedgeologic.com or at www.advancedgeologic.com Advanced Geologic is a purveyor of high quality gold mining claims. 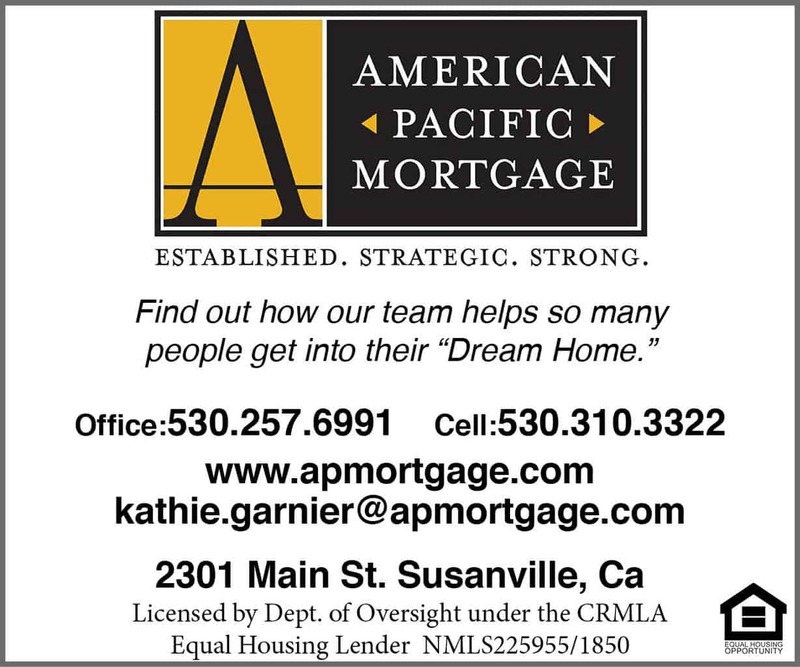 They also provide superior mining and geologic advice, and can assist you with all your permitting needs. The gold rush is on! Contact them and claim your fortune!